John Goodman Weight Loss: How Did He Lose Weight? Did He Have Surgery? Actor John Goodman has always been a big guy, both in size and personality. Famous for his comedy roles in the TV series Roseanne and for his big screen portrayal of the Flintstones cartoon character Fred, John Goodman has long been known for his considerable height and equally substantial weight. In recent photos, however, John Goodman looks a lot thinner than he used to. Has John Goodman lost weight? If so, how did he lose weight? Did John Goodman actually have bariatric weight loss surgery? John Goodman Height and Weight: Did John Goodman Lose Weight? Like many people struggling with being overweight, John Goodmanâ€™s weight has fluctuated a lot over his 30+ year acting career. With his height measuring at a tall 6â€™3â€, it has been guesstimated that his weight has at times surpassed 400 pounds. In 2008, unflattering photos of Goodman smoking (above) increased gossip about his weight, raising concerns about the health effects of his weight gain and lifestyle. After publicly struggling with alcohol and other addictions, John Goodman has started paying more attention to his health choices, and has recently made noticeable strides in regards to weight and fat loss. John Goodman Weight Loss: How Much Weight has John Goodman Lost? Very few people can lose weight and keep it off on their first try, and John Goodman is no different. 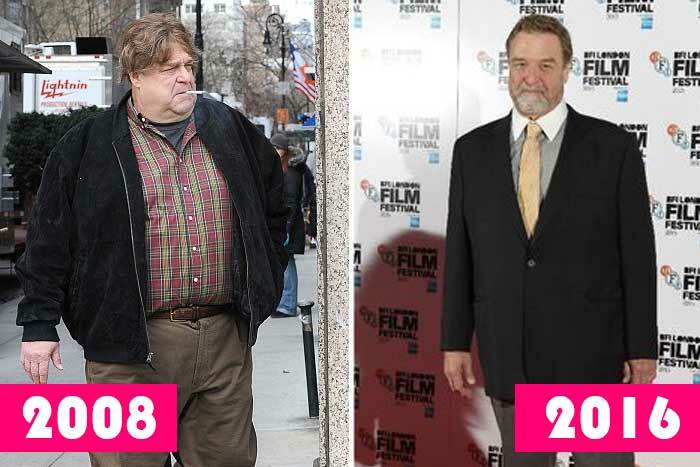 After reportedly losing over 100 pounds in 2011, John Goodman clearly gained a lot of weight back quicker than he would have liked. After a temporary weight gain, John Goodman lost weight again and looked thinner than ever in 2016. How much weight has John Goodman lost? Goodman claims that he doesnâ€™t exactly know since he didnâ€™t weigh himself when he was at his heaviest weight. â€œI have no idea how much I lost; I didn't weight myself,â€ said Goodman. How Did John Goodman Lose Weight? Did John Goodman Have Weight Loss Surgery Like Roseanne? 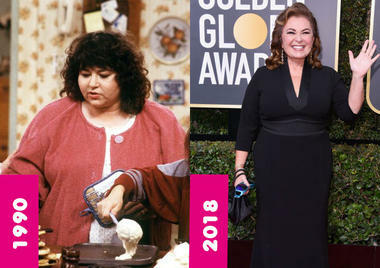 Losing over 100 pounds by just diet and exercise is not easy, so some wonder if John Goodman has actually had secret bariatric weight loss surgery like his former TV co-star Roseanne Barr did. As it turns out, Goodman did have a weight-related surgery back in 2014â€”but it wasnâ€™t for his stomach, it was for his â€œarthriticâ€ knees, which were stressed after enduring years of Goodman's unhealthy weight and lifestyle. Goodman denies that he has had weight loss surgery, claiming that he instead has â€œquit drinking,â€ â€œcut sugar from his dietâ€ and works out six days a week. â€œIâ€™m breaking a sweat but Iâ€™m not going nuts,â€ Goodman joked in an interview. As is the case for many people trying to maintain lasting weight loss, remembering how he used to feel at his heaviest weight is big motivation for John Goodman to keep the weight off now. Letâ€™s hope Goodman sticks with his diet plan and keeps the weight off in 2017. Roseanne Barr is one of the funniest women in comedy. 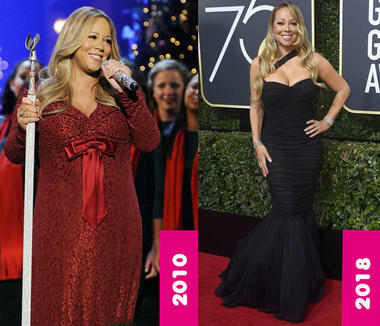 What are her weight loss secrets? 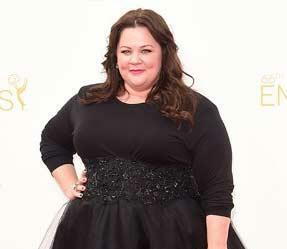 Did she have gastric bypass weight loss surgery? How Did Jennifer Hudson Lose Weight? Bariatric Surgery? 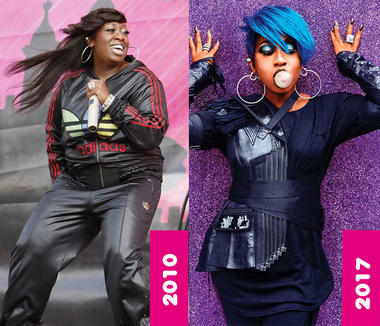 How did American Idol and Dreamgirls star Jennifer Hudson lose weight? Did she have weight loss surgery? Susan Boyle Weight Loss: How Did She Lose Weight? Surgery? Britain's Got Talent singing superstar Susan Boyle has undergone a celebrity weight loss transformation. How did Susan Boyle lose weight? Did Boyle have secret weight loss surgery? Want to lose weight? Drink more water, the best natural appetite suppressant.